The traditional approach to email security is failing, and the problem is plaguing organizations across all industries. Threats consistently are becoming more sophisticated and slipping past traditional security measures, while the changing technology landscape creates new security demands. As more organizations embrace modern IT infrastructure, they are looking to tackle the challenge with solutions that are just as dynamic as their cloud-based email systems. 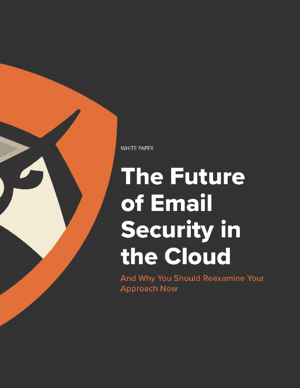 This white paper will guide security teams as they reexamine their approach to cloud-based email.